Barocco sempre giovane (Baroque Still Young) is a chamber ensemble whose members are top quality young Czech professional musicians. It was established in 2004. Initially, it was focusing on High Baroque music performance (hence the name of the ensemble). Nowadays, though, its repertoire covers all classical music styles, including those of 21st century. The ensemble has carried out several premiere performances of contemporary authors´ pieces. 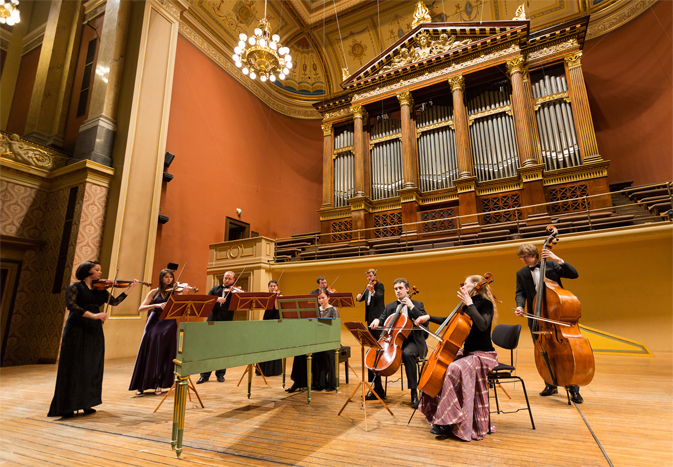 The ensemble is regularly invites to significant music festivals both in the Czech Republic and abroad. Its concerts are broadcast by leading TV and radio stations. It has made several CD recordings and organizes its own regular concert cycles. 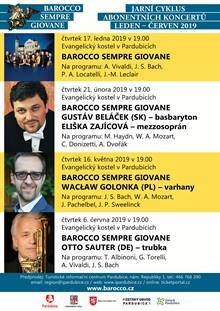 Barocco sempre giovane cooperates with prominent Czech and foreign performers. It puts special emphasis on the cooperation with young performers, winners of significant international competitions, especially those such as Prague Spring (Pražské jaro), Fritz Kreisler Competition in Vienna, Queen Elisabeth Competition in Brussels and Tchaikovsky Competition in Moscow.